Welcome to the all new look Agenda Magazine from your local Chamber, Gosford/Erina & Coastal Chamber of Commerce. 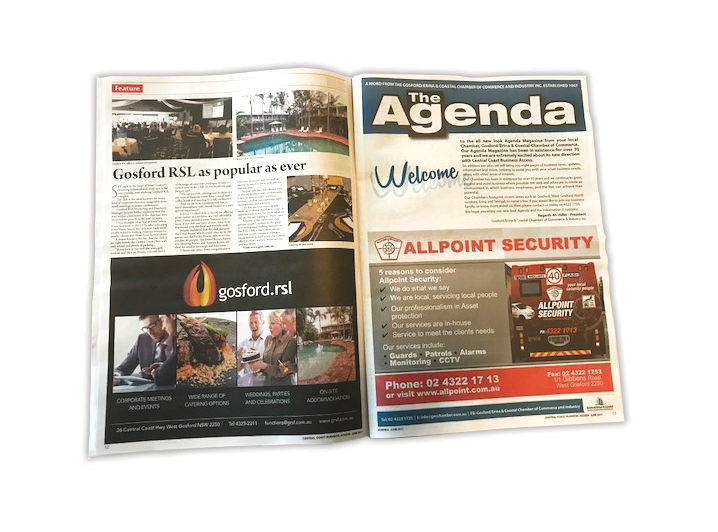 Our Agenda Magazine has been in existence for over 30 years and we are extremely excited about its new direction with Central Coast Business Access. Six editions per year, we will bring you eight pages of business news, updates, information and more, helping to assist you with your small business needs, along with other areas of interest.